You need wrong entries to start things off, right? So here’s one. But it does remind me of San Antonio de Escazu, Costa Rica, which probably means it’s time to go back. Totally stumped! But it’s GOTTA be either Rio or Buenos Aires because it’s the World Cup Finals weekend … no way it’s Germany! I gave up when I saw that Rio is too lush for the pic and Buenos Aries is too flat! Seems to me those are Griffon vultures. And the topography looks like Spain, which is where most of the Griffon vultures live. After that, it’s time for darts and/or educated guesses. As this is the week that the St. Fermin Festival ends, I am going to say that the person who sent it in was in Pamplona and is now up in the Aragon hills (or could be farther up in the Pyrenees). So, let’s say a hill town outside of Huesca. Cape Town, South Africa. Between Atlantic and Table Mountain. I’m guessing the Clifton/Camps Bay Area. Milwaukee … because that is clearly a keg on the roof of that house in the foreground. This is a wild guess and probably not even close, but it seems like Greece to me. No way to prove that, however. The hardest part of these Mediterranean views is distinguishing between the architecture of the countries. This week, for example, I’m guessing the heat map is gonna have quite a few entries from Spain as well as Greece. And if you were one of the unfortunate readers who did get bogged down in Spain, well, it was probably a pretty long weekend. 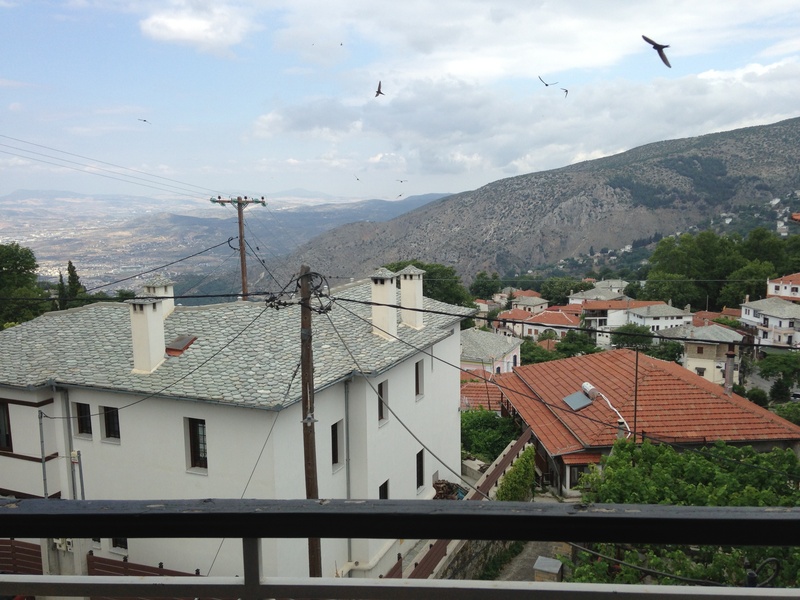 This sure seemed like a Mediterranean hill town, and the birds meant it probably wasn’t too far from the sea. 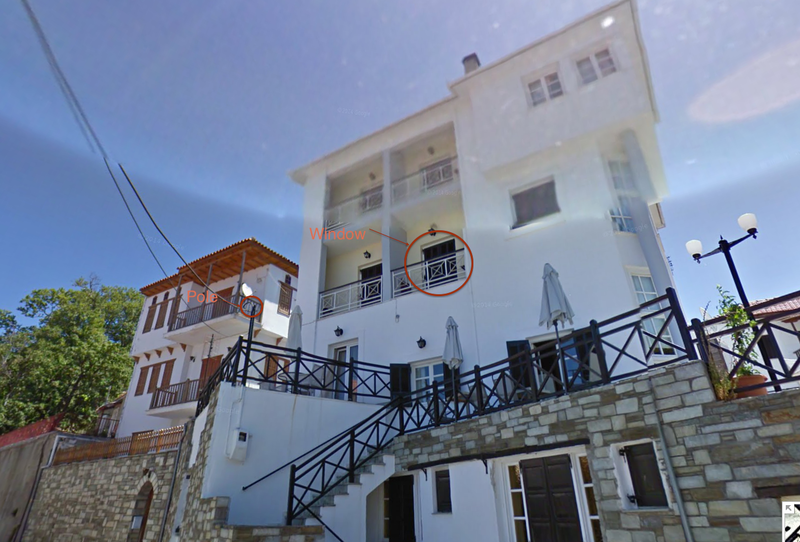 The rooftop solar installation has a “Sigma” logo on the side, and a little googling showed that belongs to a company that operates out of Volos, Greece. The last clue that cinched it was the grey slate that makes up many of the roof tiles and the chimneys in the photo. I had a hard time finding anything quite like it, but finally found some close matches in the area of Mt. Pelion, unsurprisingly very near Volos. 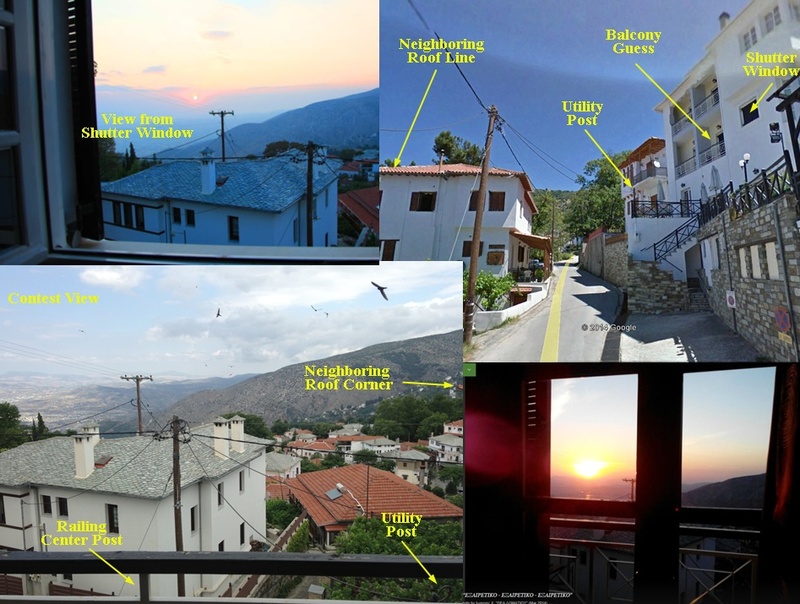 A little more sleuthing showed that this week’s view was taken from the Hotel Karavos, Hajakou 15, Portaria 37011, Greece. I’m pretty sure it was taken from the center window on the 1st floor of the West side of the hotel. And now I *really* want to go to Greece. The views of the sea from Portaria are just stunning. An image search on Sigma Solar eventually got me too a rendering of a Sigma labeled cylinder above a solar panel, crucially with a red “a” in the name. This Sigma was located out of Greece, which seemed to fit the geography of the picture better, so there I went. This Sigma was headquartered out of Volos, but that area seemed to close to the coast, so I moved on, looking again at soccer stadiums. I was looking for a decent-sized stadium, perhaps ringed by arches. When I got to Panthessalakio Stadium, I didn’t find arches, but it was ringed by a concrete frame with many openings, and it was located in Volos, so I began to think maybe this was it. Zooming in on Google Maps, I saw mountainous terrain, and a stadium on the edge of town with a major road turning to the left just past the stadium, and a view that wouldn’t include the surrounding coast. I knew I had the background, but how to isolate to a specific building? The view seemed almost exactly perpendicular to the long facade of the stadium, so I headed due east. Surprisingly, many of the neighborhoods were predominated by either red or white roofs, but very few had a good mix of the two colors. Once I got to what I now know is Portaria, I began to see the right mix. I couple swoops into street view made me think this was generally the right area, so I went back to the satellite view, looking for a white building with chimneys near a red roof with a solar panel. I was pleasantly surprised to find not just a solar panel, but one with a highly reflective object and thick white cabling running to the side, next to a white roof that looked the part. Street view quickly confirmed the white house was the foreground of my picture (Streetview voyeurism tells me that the solar panel was installed on the red roofed building sometime after July 2011). The extra view of the balcony itself showed that balcony itself went slightly further to the left (looking out) than the railing itself. 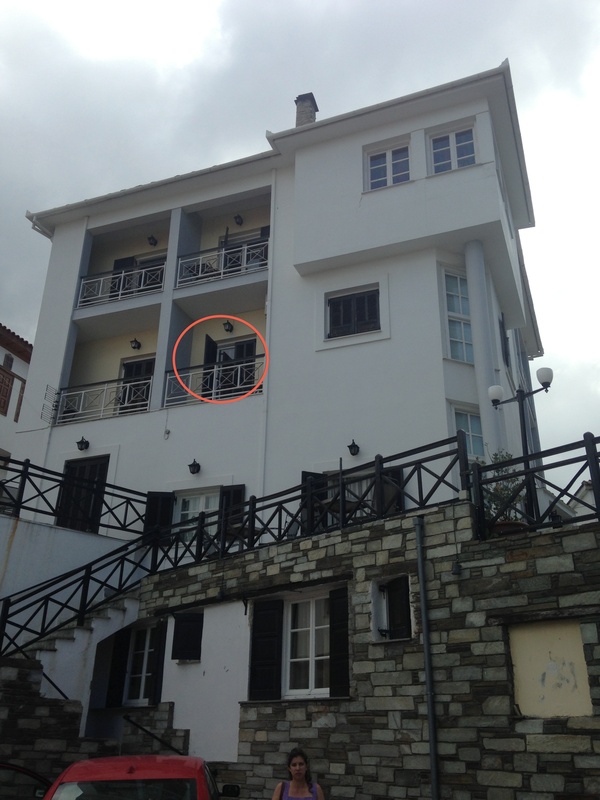 Street view shows that one balcony ended flush with a divider, so it had to be the balcony on the right (facing the hotel). This was a really fun one, thanks. 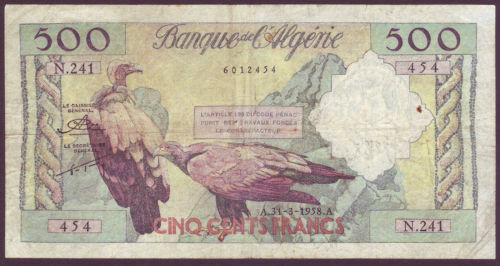 I began by trying to identify the soaring flock of birds, but they appear to be a common and widespread European swift. Next I focused on the stadium that is vaguely visible on the flats at the base of hills (soccer weekend). That was not productive. 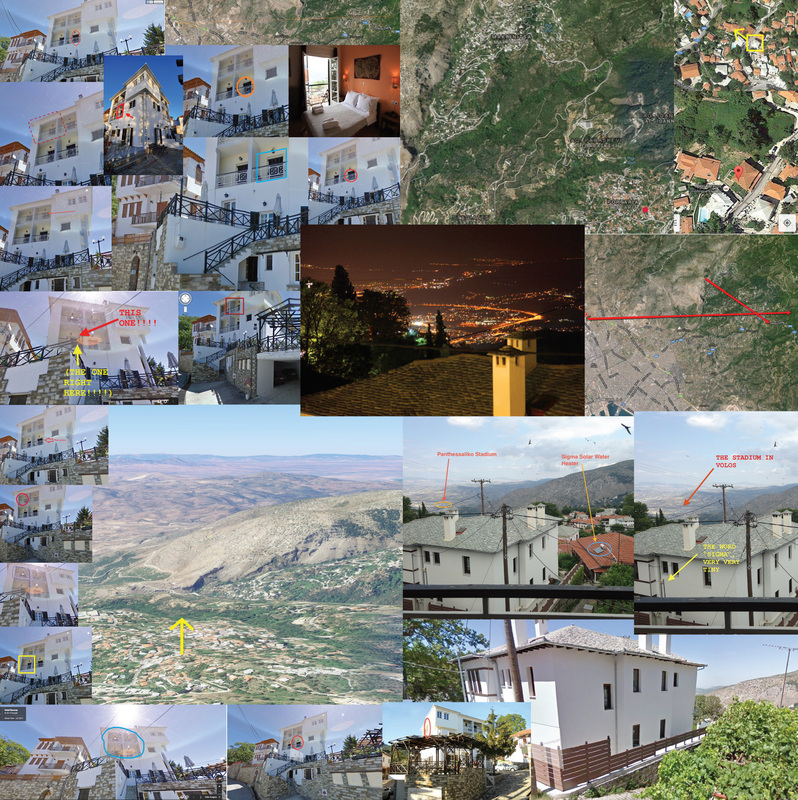 I then searched for worked-stone roof tiles like those in the view and quit quickly found similar examples in villages clustered on the steep ridges above Volos, Greece. The Volos Olympic Stadium on the flats helped confirm I was in the right place. 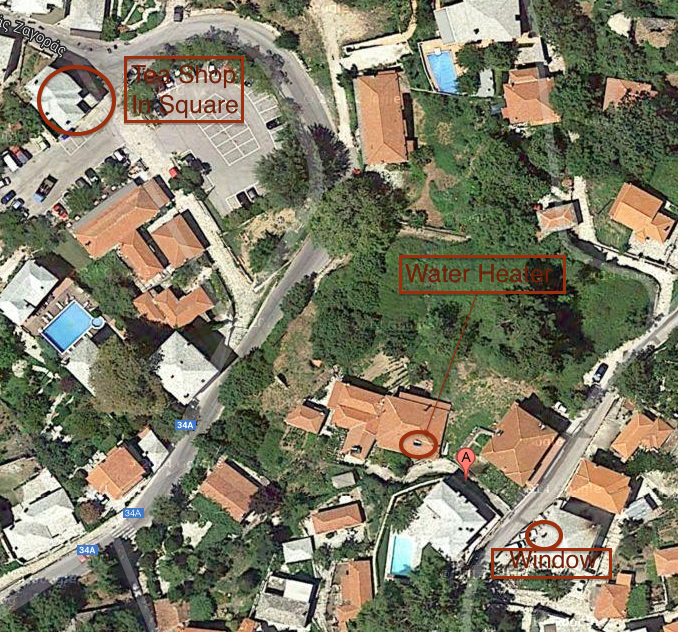 Searches of hotels eventually located views similar to that of the contest and Hotel Karavos. The photograph was taken from one of the four balconies on the west face of the hotel. 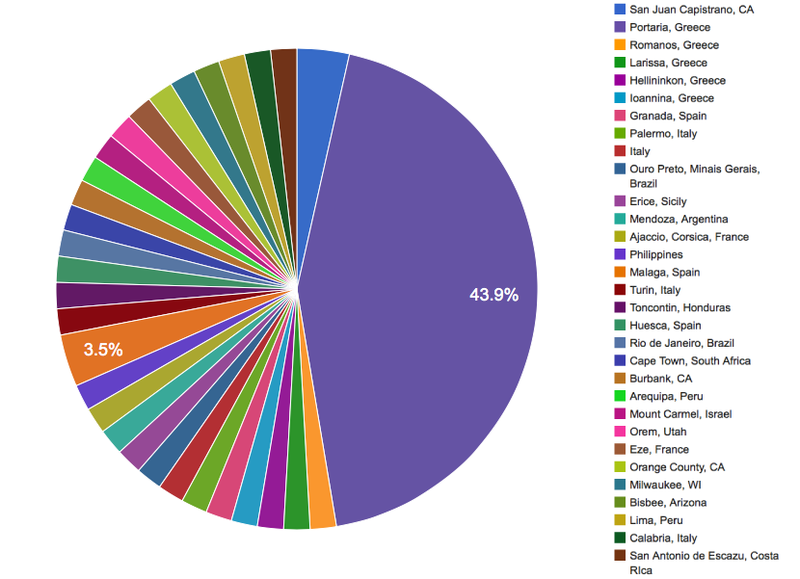 My uncertain guess is the lower and southern-most one. The steep slopes made judging window heights even more difficult than usual. This balcony seemed the most likely to include a number of clues. The balcony view had to include the top of a utility post visible in the lower right of the contest view, the tip of a neighboring roof corner on the right of the photograph midway, and the center post of the balcony railing that is left of center in the view. The most convincing clue was comparing a similar view taken from the only upper window on the western face with shutters which is located south of the balconies. The view from the shutter window appears close to that of the contest view but slightly higher. This would be consistent with the shutter window’s location in relation to the lower balcony (or more so than an upper balcony). Now I want to know how the stone roof tiles are made and perhaps reused. Of interest to me is that Volos is the home of the mythical hero Jason (of Argonauts and Golden Fleece fame) but also of real-life composer musician Vangelis whose work on film scores such as Chariots of Fire and Blade Runner is well known. The most obvious landmark, the stadium way off in the background, wasn’t familiar, so searching for that right away wasn’t too helpful. Googling around for “sigma solar water heater” and doing some quick logo vetting narrowed it down to Greece rather than California or Spain. “Stadium Greece” was a fairly unhelpful Google Image search for the first few pages due to the prevalence of pictures of the Panathenaic Stadium, until I just happened upon the right one — in Volos, which is also the home of Sigma. The mountains looked right, so I figured out roughly where it was on the map and zoomed in on anything looking like a square or large intersection (visible on the right edge of the image, 1/3 of the way up). On the second try, I found the building with the teapot sign (a tea shop), and from there it was a simple matter of turning around in Street View and looking up. 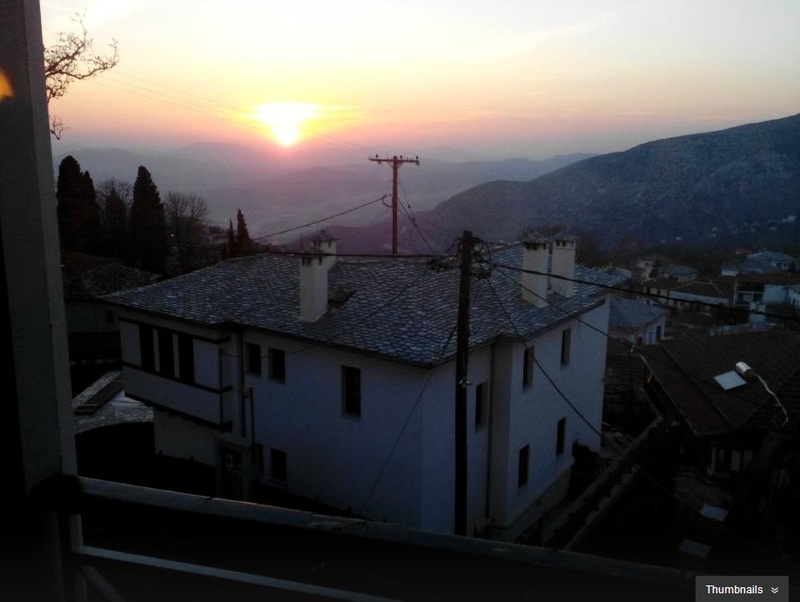 The picture was taken from the window of Room 202 of Hotel Karavos, in the mountain village of Portaria, Greece. This is one of the little towns on the western side of Mt. Pelion, looking down to the city of Volos, part of which can be seen in the distance on the left of the contest picture. The whole region is very beautiful, with quaint villages on the mountain slopes and beautiful beaches just a short drive away on either side of the peninsula. My wife and I spent there three days exploring the area together with two friends of ours, a couple who got married this Saturday – the same day the photo appeared in the contest!